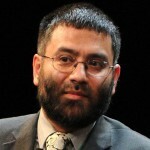 is a science policy adviser and consultant and the founder and publisher of Muslim-Science.Com. 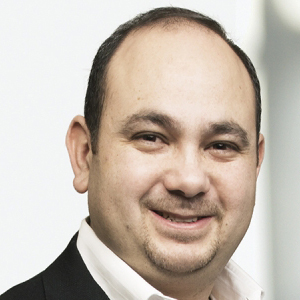 He is also the Founder and Chief Executive of Pakistan Innovation Foundation and the Founding Partner of Technomics International Ltd – a public policy research and consulting firm. Prior to this, Dr. Osama was the Director of Middle East and Asia for Angle Plc. – a UK-based technology commercialization consulting, management, and venture capital firm that specialized innovation programmes, incubators, and research parks in Europe, North America, and the Middle East. Dr. Osama has advised several state and national governments across Asia, Middle East, Europe, and North America and institutions like DfiD, ADB, UN/ITC, The OIC, The Carbon Trust, and The Royal Society, among others. 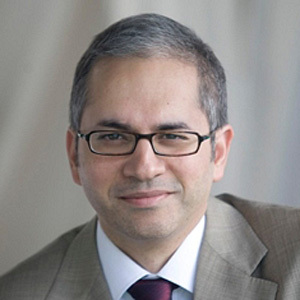 Dr. Osama is the Fellow of the NY-based World Technology Network (WTN) and a Young Global Leader (2013-18) for the Davos-based World Economic Forum. Dr. Osama graduated with a PhD in public policy from the Pardee RAND Graduate School in Santa Monica, CA and a Bachelors degree in Aeronautical Engineering from Pakistan Airforce Academy where he won the coveted ‘Sword of Honor’. Rector of the Muslim Institute of the Mosque of Paris since 1992 and first President of the French Council of the Muslim Faith (two terms: 2003/2005, 2005/2008) and the Foundation of the Works of Islam, he was born in Algeria in 1940 where he spent his childhood before joining the metropolitan France with his family in 1957. 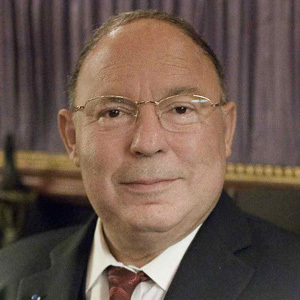 Son of Si Hamza BOUBAKEUR (rector of the Paris Mosque from 1957 to 1982 and author of a French translation of the Quran), he continued his studies in Paris at Louis Legrand and after the Faculty of Medicine is linked to doctor hospital Pitie-Salpetriere. Thereafter, he was lecturer at Faculties of Medicine of Paris-Créteil, le Kremlin-Bicetre and the Pitie-Salpetriere. 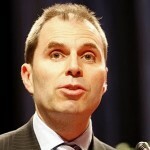 He is a member of the Council of the College of Physicians of Paris since 1977. He is also a graduate of Arts and Letters of the Al-Azhar University in Egypt, honorary graduate of the Islamic University of Zaytuna in Tunisia and Commander of the National Order of Merit. 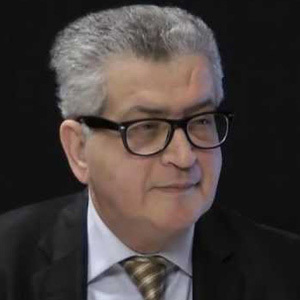 Founder of Islamic publications and journals, he is the author of numerous books and publications including “The Ten Commandments” with Jean-Michel Di Falco, Joseph Sitruk, Alain Mamou-Mani (Albin Michel, 2000), “The challenges of Islam” (Flammarion, 2002),” No! Islam is not a policy” (Descle Brouwer, 2003), “The Call to Dialogue” with Bernard Kanovitch (Editions No. 1, 2003), “The Charter of Muslim worship”(1995), “The lawful and Unlawful in Islam.” He is also the author of numerous papers and reflections on Islamic bioethics, scientific papers on the history of medicine and the Arab-Muslim science, mathematics Arab and Islamic art. Is a mathematician. Professor Emeritus at the University of Science and Technology of Lille, he is also a research scientist in history of mathematics, associated with the C.N.R.S. (U.M.R. 8524), specializing in medieval Arab mathematics of al-Andalus, Maghreb and sub-Saharan Africa. 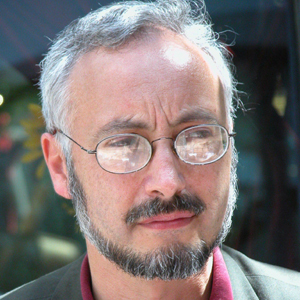 Member of the editorial board of several international journals (LLull, Zaragoza; Journal for the History of Arabic Science, Syria; Tarikh-e-Ilm ,Iran), he is also vice-president of Transcultura (chaired by Umberto Eco) since 2008, as well as of the International Institute for Policy Research of Civilization (chaired by Edgar Morin) since 2009. 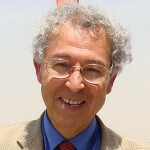 He has several publications to his credit, among other works, A history of Arabic science (Seuil, 2001), the Arabic algebra, Genesis of an art (Vuibert-Adapt, 2005) and Les Découvertes en pays d’Islam (Le Pommier, 2009). Assistant professor at the Hashemite University. 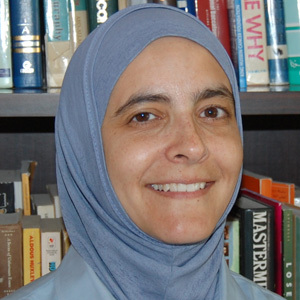 She obtained a Ph.D. in molecular biology from the University of Iowa, USA, in 2005; a Fulbright alumnus, she is currently Assistant Professor and Director of the Center of Studies at the Hashemite University, Jordan. Her research focuses on genome-wide association studies concerning diabetes and cancer in ethnic populations in Jordan. Other research includes signaling transduction, stem cells, and bioinformatics. Dr. Dajani is active in science-related fronts: organizer of the fourth scientific research conference on cancer in Jordan; consultant to the Higher Council for Science and Technology on identifying national priorities for research in Jordan. 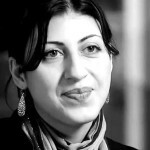 She has written in Science and Nature about science in the Arab world. She is also a strong advocate of the theory of biological evolution and of its compatibility with Islam. She was a speaker at the Templeton-Cambridge Journalism Fellowship symposium at the University of Cambridge and at the British Council “belief in dialogue” conference at the American University at Sharjah. In terms of education, she has been appointed a Higher Education Reform Expert by the TEMPUS office, Jordan; is founder of the TEMPUS funded center for service learning at the Hashemite University; is an advocate of teaching using problem-based learning, novel-reading and drama; has established a network for women mentors and mentees; and was a speaker at TEDxDeadsea. On the broader horizon, Dr. Dajani has developed a community-based model and philosophy, “We Love Reading (WLR)”, to encourage children to read for pleasure for which she received the Synergos award for Arab world social innovators in 2009, membership of the Clinton Global Initiative 2010, and a place in the upcoming book Innovation in Education: Lessons from Pioneers Around the World, funded by Qatar Foundation. WLR has spread throughout Jordan, the Arab world and internationally, reaching Turkey, Thailand and Azerbaijan. 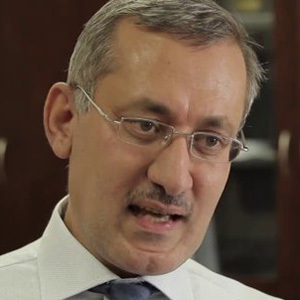 Dr. Dajani in the media: Huffington Post, USA Today, Washington Post, Al Jazeera, VOA, The Chronicle of Higher Education, The Guardian and Reuters. Dr. Dajani is married with four children. Trained in mathematics at the University of Cambridge and worked briefly as the secretary of the British Society for Social Responsibility in Science before entering science journalism in 1973. 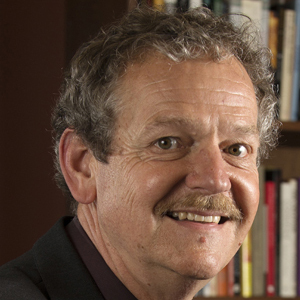 He has worked for a number of scientific publications, including Science, New Scientist and Nature, of which he was Washington correspondent in 1978-82, and news editor in 1993-2001. 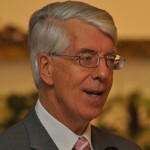 He left Nature to set up the website SciDev.Net , specialising in reporting on science and technology in developing countries, in 2001, acting as director until stepping down in 2011. He is the author of Alternative Technology (1973) and The New Politics of Science (1985), and is currently a council member of the British Science Association. 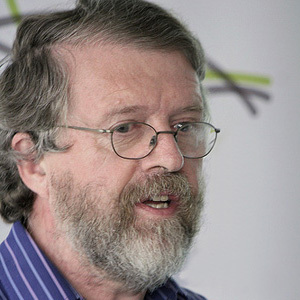 In 2012 he was presented with a lifetime achievement award by the Association of British Science Writers. He is a historian, writer, philosopher, mathematician and creator of events. For several years, GEORGES IFRAH has developed a background research on the history of Arabic science and on its global cultural, scientific and technical influence over the Arab-Islamic geographical sphere in the medieval period, including significant contributions Greeks, Indians, Persians, Chinese, Andalusians, Berbers, Turks, Jews and Christians of this world.He gathered iconographic documents showing the true precursor engineering of the scholars of the golden age of the Muslim civilization. It developed a database quite unique consisting of thousands of images and information from a multitude of documents, prints, illuminations, miniatures and manuscripts scattered through museums, libraries and archive centers around the world. He organized and conducted in December 2007 an exhibition accompanied by a conference on Arab language and science at the UNESCO Headquarters, under the patronage of the Crown Prince and under the auspices of the Permanent Delegation of the Kingdom of Saudi Arabia to UNESCO. Was the Project Leader for the initial version of the 1001 inventions exhibition until its inaugural launch at the Museum of Science and Industry in Manchester during 2003. She subsequently acted as the Science Museum’s in-house content advisor for the new version of the 1001 Inventions exhibition which launched its global tour at the Science Museum in 2010. She worked at the Science Museum for over ten years in various key roles, including six years as an explainer (science communicator) in the interactive science galleries, providing engaging and informal demonstrations of “hands-on” exhibits and explaination of scientific concepts via one-to-one interaction and larger audiences through delivering shows and workshops. Yasmin left her role of Curator Team Manager to take up the post of Interpretation Manager at the British Library for their programme of exhibitions including the blockbuster “Out Of This World: Fiction, But Not As You Know It.” She is currently working on projects relating to Cultural Diplomacy as an Independant Cultural Advisor and freelance writter. Yasmin has a BSc in applied biology from London South Bank University and an MSc in Science and Culture from Birkbeck College. She was awarded the 2011/12 Wellcome Trust Creative Fellowship to become a Fellow on the Clore Leadership programme which develop established leaders in the arts and cultural sectors. Is a Science policy expert, writer, teacher, journalist, and broadcaster. 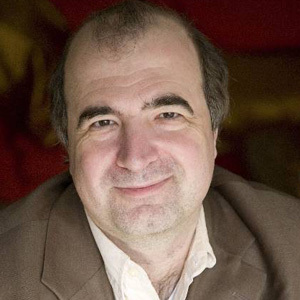 He is the editor of Research Fortnight and Research Europe and teaches at Imperial College London. Masood’s latest book is Science and Islam: A History, in which he tells the story of how science developed during Islam’s imperial period, from 800 to 1500; the book was the official tie-in to a three-part documentary series on BBC Television presented by the award-winning Jim Al-Khalili, Professor of Physics at the University of Surrey. Director of the Laboratory of the Theological Research and Compared Religions; Professor of Islamic dogma, of theology (Ilm al-Kalam) and of Philosophy of Science at the University Emir Abdelkader, of interfaith dialogue and of compared religions at IESH of Paris; of ethics in science at Al-Manahidj Institute and is the author of “The Qur’an and the scientific miracles” and “water between scarcity and abundance” (with Allawa Anser and others) and “Environment: Islamic Doctrinal Approach and Science “(with Allawa Anser and others). 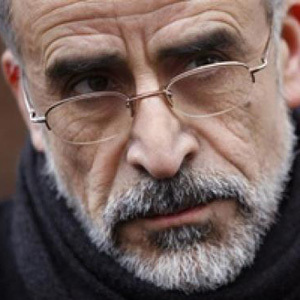 Doctor in sociology and current director of the “Al-Ghazali” Institute of Theology of the Great Mosque of Paris. 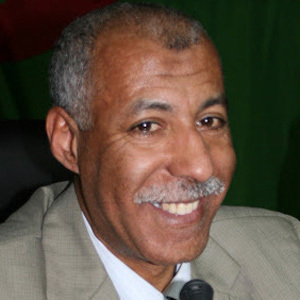 After obtaining his PhD in Humanities at Paris, he was a professor at the University of Paris X, assistant professor at the University of Tripoli (1981-1983), then he was appointed lecturer at the University Sabha (Libya) from 1983 to 1986 in partnership with the CNRS. 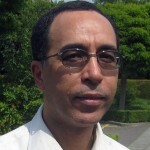 He was then professional journalist from 1986 to 1994 before joining the teaching unit of the Mosque of Paris in 1995. He is responsible for the training of imams and chaplains today. Djelloul Seddiki is also involved in various associations (Jewish-Muslim Dialogue). He is especially Vice-President of the Society of Abraham since 2005, co-president of the Jewish-Muslim Friendship of France, Vice-President of the Society of Endowments and Holy Places of Islam, General Secretary of the Council of reconciliation Sunni and Shiite. He is also representative of the Tarika Cheikhyya Chadhoulia in Europe and North America.